Oh, how much we love to eat, right? Good news to all food lovers out there! Manang's Chicken has a lot in store for us this 2013. 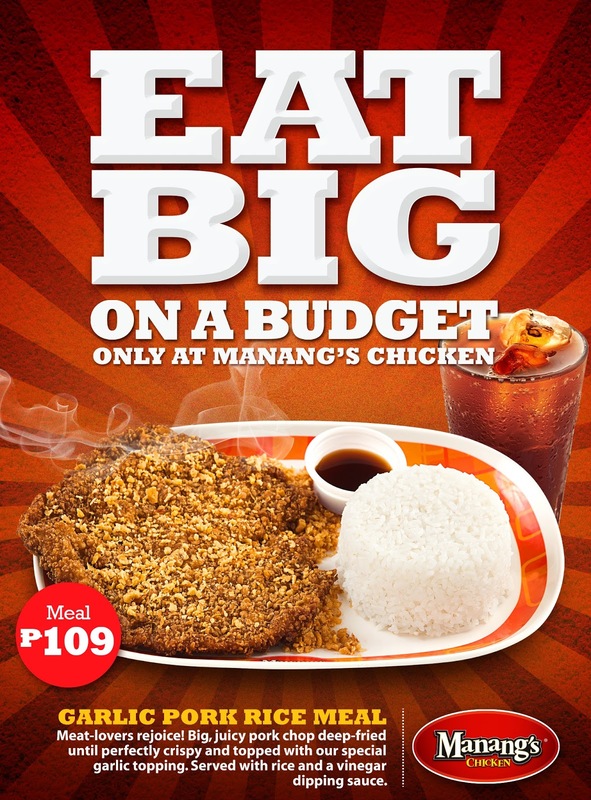 Manang's Chicken is a restaurant that offers unique and quality Filipino-inspired comfort dishes in a fast casual setting. Their specialty is their double deep fried chicken with Manang's secret soy garlic sauce. The one that started it all. Gotta taste their signature double deep fried crispy chicken with Manang's secret soy garlic sauce. 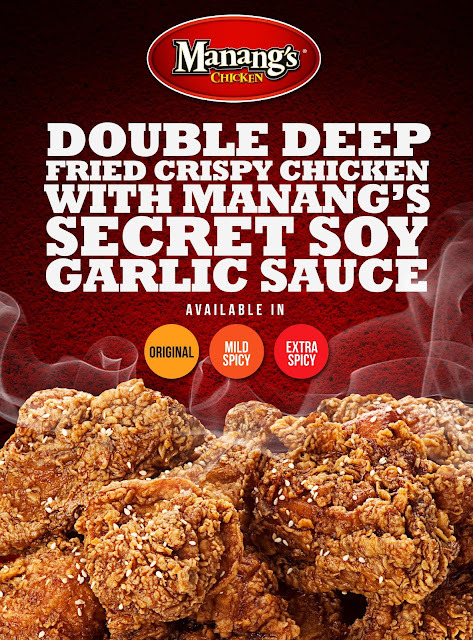 Choose from Original, Mild Spicy or Extra Spicy Sauce. 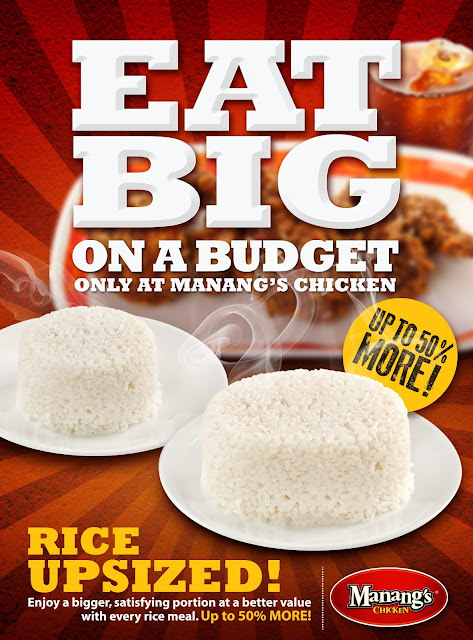 This month, they're re-launching a bigger and crunchier Garlic Pork rice meal. Meat-lovers rejoice! 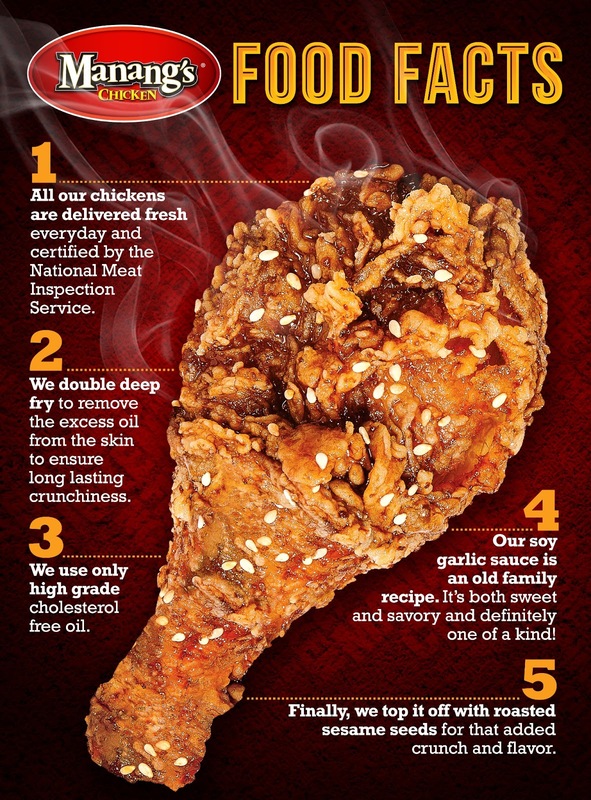 Big, juicy pork chop deep-fried until perfectly crispy and topped with their special garlic topping. Served with rice and a vinegar dipping sauce. 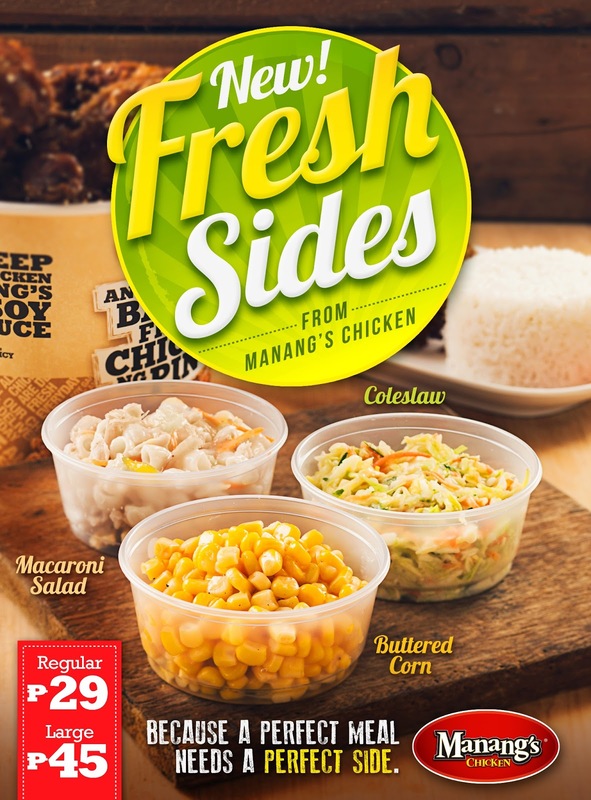 Last January, they launched their fresh side dishes such as the coleslaw, buttered corn and macaroni salad. They're rice serving was also "upsized", making it 50% more than the usual. 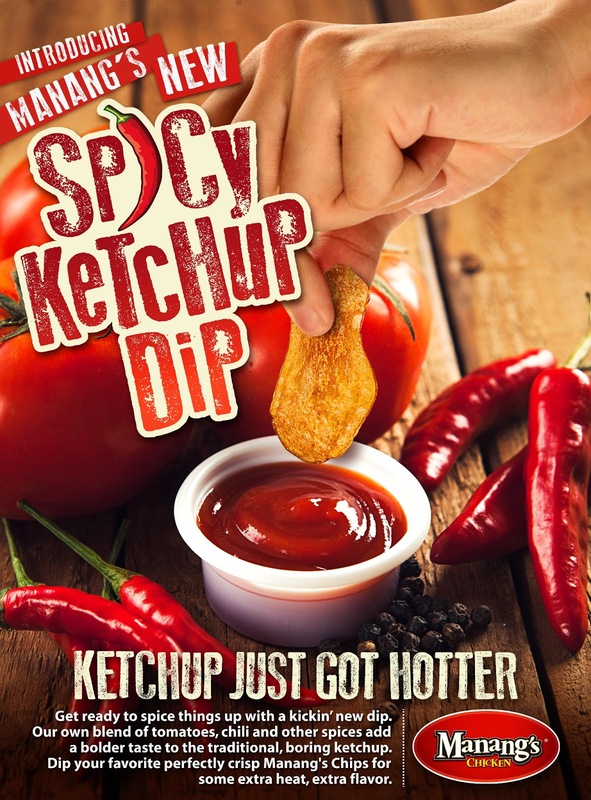 Introducing now is the Manang's new Spicy Ketchup Dip for the chips. 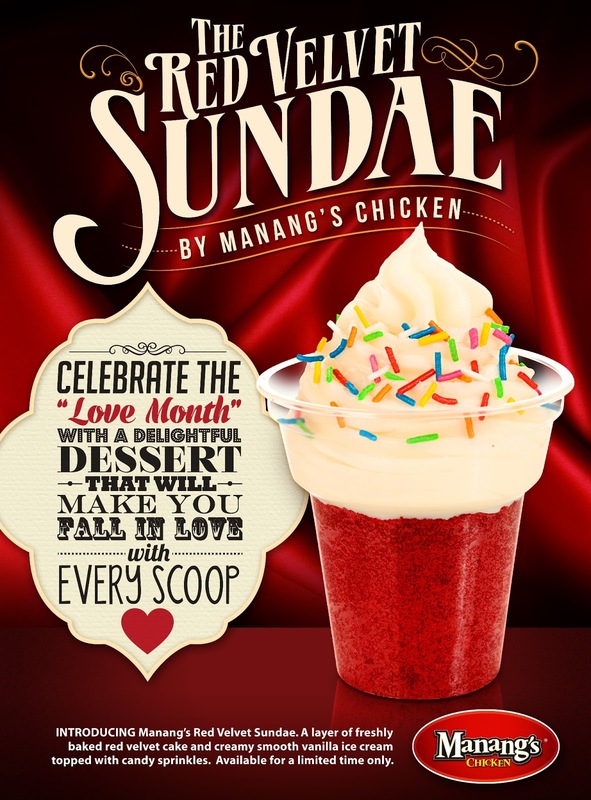 Since it's the love month, Manang's Chicken offer their special Valentine's dessert, the Red Velvet Sundae! Like Manang's Chicken on Facebook and Twitter for more updates and locations.